Indeed it is true that early morning exercise has benefits that you cannot even imagine about. People usually tend to get up early and workout but then there are times that people are not able to manage the morning hour workout sessions. What are they supposed to do then, not workout at all? We don’t think so. There will be plenty of times when your schedule doesn’t work out well with your exercise routines. You must have seen people cycling, jogging, and doing strength training in morning hours. Now, if you are not able to get that time in the morning, you need not get disheartened because you can always do all that in evening or night. No, we are not kidding; you can always workout at night or late evening. Nights are optimum for workouts. You are done with all day work. You have nowhere to rush to; you can just focus on the workout session. 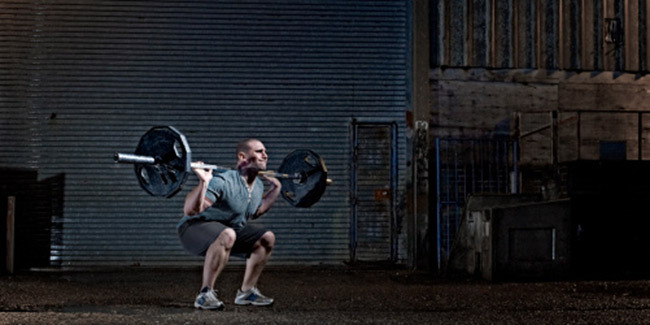 Indeed workouts require a lot of focus and night times are perfect to concentrate on your workout. Studies suggest that workouts done in the night are done with more intensity and the performance boosts after getting indulged in a workout session after 9 to 10 hours of waking up. If you are working for a toned and sculpted physique, workouts at night time will help you tone up better than those who workout in morning, right after waking up. The level of cortisol is high in the morning is high and it prevents the muscle growth. Well, the harder you workout at night, the deeper sleep you have, as found out by Swiss researcher. Vigorous exercise sessions induce great sleep.